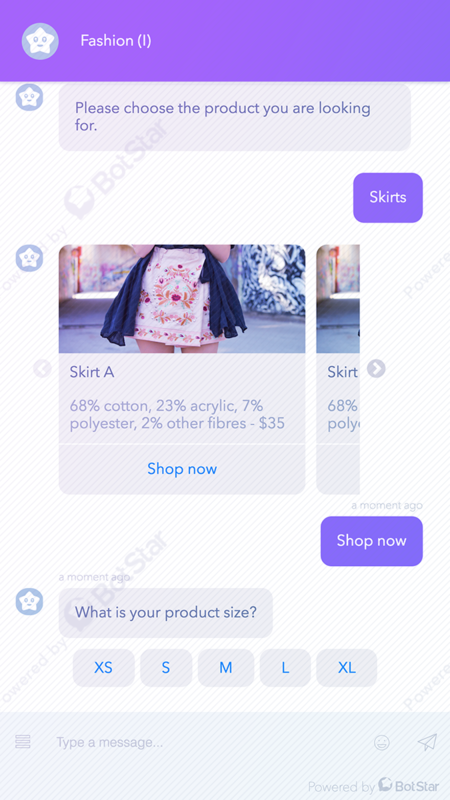 This chatbot template for fashion will give a new personal shopping experiences for your customer when shopping for clothes, shoes or new items. It lets your customers browsing the latest trends and products, collects customers information and online orders. 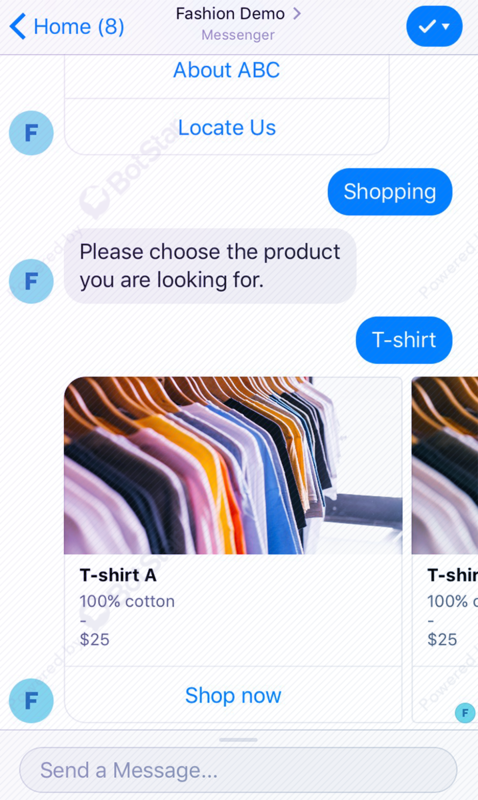 With BotStar’s online fashion store chatbot, customer can discover new products they might not even know existed, buy these items in few minutes without having to visit the store and get notification whenever there is a promotional deal. 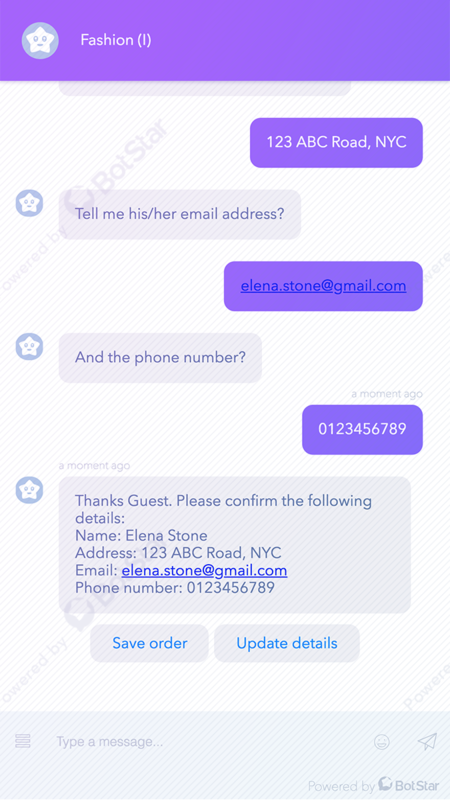 Bot technology is becoming more and more common. It is widely adopted in several industries such as healthcare, F&B, Job & HR, especially e-commerce. 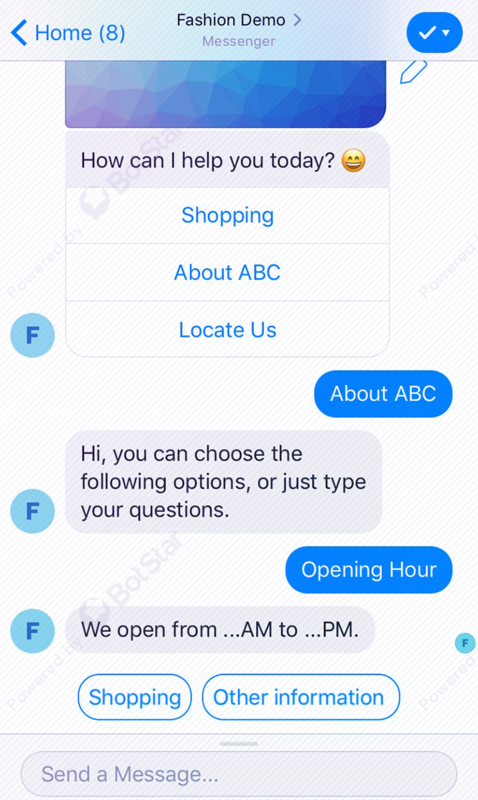 In a recent Oracle survey, 80% of businesses said that they already use chatbots or plan to use them by 2020. Besides, 48% of businesses are already using automation technology, according to the same Oracle survey. All these stats show that bot technology is a growing trend that drives the e-commerce growth. 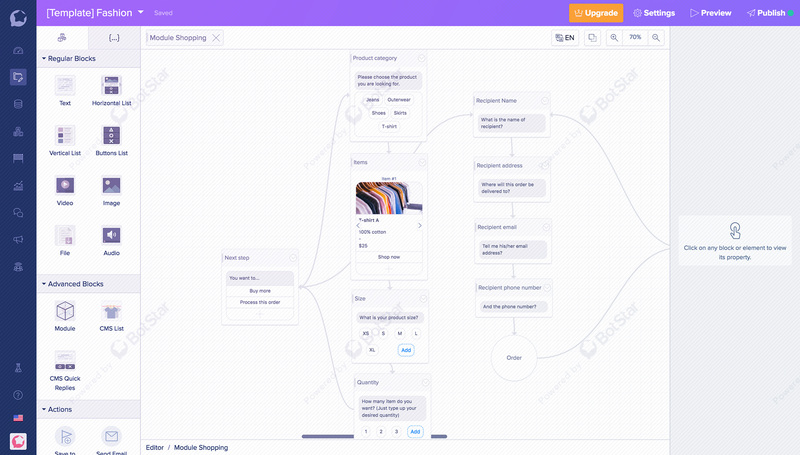 That’s why, developing a chatbot and applying it into online store become a must.